Which will force a nonresponsive app to quit? Press Command-Option-Q, then click Force Quit. Control-click the app icon in the Dock and choose Force Quit from the shortcut menu. Press Control as you choose Quit from the app menu, then click Force Quit. On a Mac, where can user preferences for sandboxed apps be stored? Traceroute can help determine whether the web server is configured correctly. Traceroute can help determine where the connection is breaking down. Traceroute can help determine whether the ports are open on the web server. Traceroute can help determine whether the server that the web service is running on has a firewall. What's the role of the launchd process when an OS X computer starts up? The init process starts launchd, then launchd starts the scripts stored in /etc/cron/. The init process starts launchd, then launchd starts the items stored in the Startup folder. launchd starts the kernel, the kernel starts all the other processes involved in startup. You've started up a Mac from its Recovery partition. How do you open the Startup Disk utility? Choose Startup Disk from the Utilities menu. Choose Disk Utility from the Utilities menu then choose Startup Disk from the File menu. Choose Startup Disk from the Apple menu. Open Startup Disk from the OS X Utilities window. What should you be aware of when dragging apps to the Trash? You must restart the Mac to permanently delete apps from the Trash. You can't drag apps purchased in the Mac App Store to the Trash. User data for apps purchased in the Mac App Store is also deleted when you drag the app to the Trash. out. Which action should you take? OS X Recovery partition again. How can you configure it to start up from a different volume? Choose Disk Utility from the Apple menu and select a startup volume. Choose Startup Disk from the Apple menu and select a startup volume. Choose Startup Disk in the OS X Utilities window and select a startup volume. 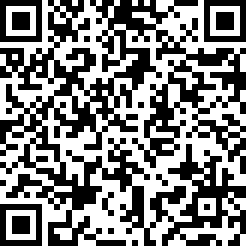 An alert message appears that says Bill Sykes will be prompted to enter the Recovery Key at next login. 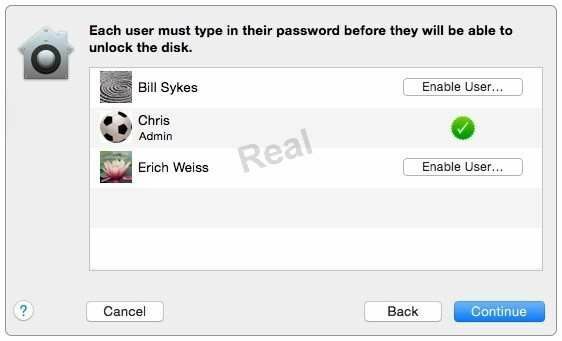 You're prompted to enter the Bill Sykes login password to enable FileVault on the Bill Sykes account. An alert message appears that says FileVault is now enabled for the Bill Sykes account. You're prompted to enter an administrator password to enable FileVault on the Bill Sykes account. A user with Write-only permissions for a folder can delete any file in that folder. A user with Read-only permissions for a folder can't rename any files in that folder. A user with Write-only permissions for a folder can rename any file in that folder. A user with Read-only permissions for a folder can't view any files in that folder.